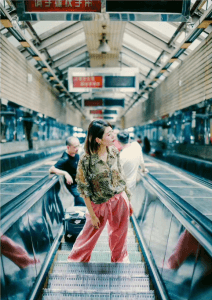 HI-COM sits down with one of these rising stars in the KOL scene, Rebecca Gao, for an inside look at the life of a KOL. 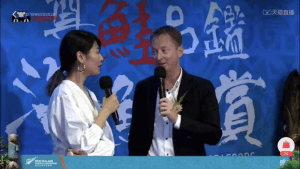 Having started just two years ago, Ms. Gao’s Weibo account already boasts 60,000 followers and her WeChat account is growing quickly with almost 10,000. 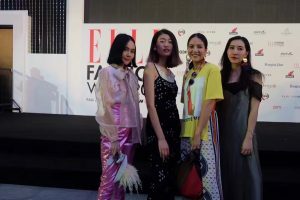 Last year she was invited to be a KOL Presenter at the Omega China VIP events in Shanghai, Chengdu and Changping, an invited KOL for Thailand Elle Fashion Week, and was the bilingual travel KOL presenter for Tmall’s ‘Taste New Zealand’ campaign, attracting more than 100,000 livestream viewers. Please give us a brief introduction and how you became a KOL? I’m a fashion and lifestyle KOL, but not that big yet. Why I became a KOL? I started in the US about two years ago. My friend and I thought, “Well, why don’t we start writing articles about things we enjoy, let people know about us”. In your own words, can you please explain to us what a KOL is? People are always talking about KOLs or “Key Opinion Leaders”. In my view, a KOL is just a blogger that tells you the real picture, the real view of their life. If you have something even just a little bit special to share about your life, you can be a KOL. Anyone can be a KOL. In your experience, how has the marketing environment in China changed or developed in the last few years, with the increased presence of KOLs? For Chinese marketing, all brands and companies are searching for the perfect KOL to help them to sell. This is a really key point in marketing right now. Before, brands only cooperated with celebrities or models. Now, they are not just looking for celebrities or movie stars. They are looking for the best KOL to represent their brand. When a KOL is used in marketing, it is much more involved. You are much closer to all your followers. It is more real and genuine. In your view, what do you think is the future of KOLs in China and the rest of the world? KOLs will become more and more powerful, with more and more followers. The trend of livestreaming through different platforms an apps will be keep growing. 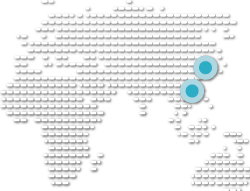 How do you think KOLs can help foreign brands with their China entry for their products or services? So many foreign brands or international brands have already been using KOLs in their marketing strategy for a long time. Last year I cooperated with Omega, who put on three VIP events in three different cities: Shanghai, Chengdu, and Changping. 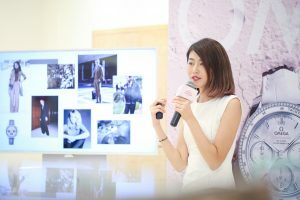 They invited fashion bloggers to give live demonstrations on how they accessorized their outfits with their watches. They invited both celebrities and KOLs, but KOLs had a more active involvement in the events. Many of the fashion brands used to only use celebrities as their VIPs. Now, you will find fashion and luxury brand bloggers as the VIPs. 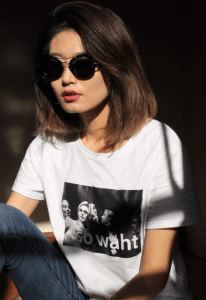 Do you think the impact of KOLs is limited to luxury brands and premium goods, or can they also be effective for marketing in other industries? Yes, KOLs can enter different categories. Someone can be a fashion blogger, but they could also write an article about baby and mother care. The market can be really big. As long as they really enjoy what they are talking and writing about. How do you think KOLs can create a social impact or bring positive social change? Can you think of any examples? If people are in the public and have a lot of people following them and knowing about them, then they need to take care about their language and what they are saying. They have a responsibility. More and more KOL can use their influence for good. It is not just about showing off beautiful and creative things. They can drive positive changes in society. There are these livestreaming shows on apps and some people have built up many followers. A lot of the teenagers have crushes on them and I think that it can be quite dangerous. These KOLs might use bad language, and really influence all the young people that are watching them and following them and influenced by them. They need to manage their behavior. It [whether the KOL can have a positive impact or not] depends on the KOL’s personality. The KOL industry still needs some education. What makes you follow someone? Because I am interested in the fashion industry, I follow many fashion bloggers. I follow anyone that has their own opinion, and shares their culture, their perspective about life. [They are] not just posting photos of themselves wearing an outfit. They post about why they are wearing it and what they think. This makes them more real. What are your next steps? How to you plan to grow your follower numbers? In April I will organize an event. A ‘Meetup event’. I have my own brand, so I will put on a small showroom and invite all my followers for them to see our new clothing releases. We have a special new print we have designed and put on hoodies. What advice would you give to someone wishing to become a KOL? You have to be ultra confident about yourself, and have something special about yourself. Like, have a special hobby such as writing articles or making videos, and put more effort into it and focus on it. Then share them and publish them on the different channels. You need to be sociable and be able to speak with different people. You need to sell yourself and make yourself interesting.